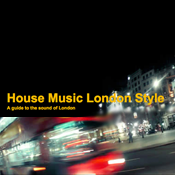 ""Funky House London Style"" - il podcast che guida attraverso la scena house londinese. Tracklisting: 1. 3AM Eternal ft Taleen - Serge Devant KLF Remix 2. Feel The Tel-Aviv Vibe - Guy Scheiman ft Michelle (TLV Instrumental) 3. Brothers & Sisters 2011 - Taito Tikaro, J Louis 4. Reach On Out For Love - Beta One Ft Machel Montano 5. Rapture My Lady's Pyramid (Adrien Mezsi & Pedro Henriques Bootleg) 6. Music Won't Let Me Go - Free Radicals Formation (Javi Rodenas & Jesus Mondejar Remix) 7. Himmel - Fran Ramirez Southside Remix 8. The Edge of Glory - Lady Gaga (Funkagenda Club Mix) 9. Miracle in Melbourne - MYNC, Coco & Christian Lake 10. The Distance - LVL024B (Javi Rodenas & Jesus Mondejar) 11. Lilly Was Here - Magic Solutions (Club Mix) 12. A Taste of Ibiza - Marcos Rodriguez, Estela Martin (Carlos Gallardo GT2 Remix) If you enjoy this podcast: 1. Let me know, you can find me on Facebook at http://www.facebook.com/pages/DJ-Phil-Hewson/101597226575891 2. Let others know, leave your comments on the iTunes music store and on the website at http://funkylondon.podomatic.com 3. Help me cover the hosting and bandwidth costs, click this link to donate and show your support for the Podcast: Every donation no matter how small goes towards the increasing cost of running the podcast. Recorded back in April. Finally uploaded! Tracklisting: 1. Offshore (A Little Love) - Rebeka Brown & Andre Vicenzzoi (Coco Silco Remix) 2. 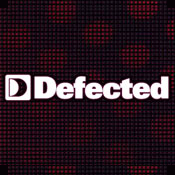 Always There For You - Giese & Rony ft Kelly Hilton (Micky Friedmann Berlin Remix) 3. Balkan Tourist - Ticon (Paul Thomas & Myke Smith Remix) 4. Live Your Life - Erick Morillo, Eddie Thoneick (Chuckie Remix) 5. Something In The Air - Taylor Square ft Katarina (Hifi Sean Mix) 6. Looking For Love - Luque & Velarde Epic Melody Vocal Mix 7. Pushin To The Top - Halmadaxx & Danny Verde (Pagano's Digital Generation Remix) 8. What Do You Do To Me - Nacho Chapado (Ivan Gomez Dub) 9. I Really Want To Say ft Polina Griffith- Zoltan Kontes & Etienne Ozborne 10. The Revolution - Superchumbo (TKC Remix) If you enjoy this podcast: 1. Let me know, you can find me on Facebook at http://www.facebook.com/pages/DJ-Phil-Hewson/101597226575891 2. Let others know, leave your comments on the iTunes music store and on the website at http://funkylondon.podomatic.com 3. Help me cover the hosting and bandwidth costs, click this link to donate and show your support for the Podcast: Every donation no matter how small goes towards the increasing cost of running the podcast. It's Valentines day everyone! So this mix goes out to all the lovers and would-be lovers out there. So it's been a whirlwind couple of months and we're in to another New Year. So to everyone in Sydney and Melbourne that I met over New Year, you are all amazing, especially the crowds at Rising, Daywash, Rogue, Trak and Lovechild. Lovechild has just celebrated it's 2nd Birthday, this international brand is reaching out across the globe, it's special to be a part of it. January's Lovechild was simply amazing, if you missed it, here's a peak at what you missed: I have a feeling that 2011 is going to be a great year, I hope you're with me on that one. 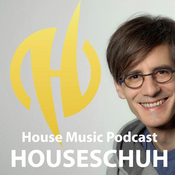 "If music be the food of love, play on" - Shakespeare Tracklisting: 1) Let It Rain - DeLacy & Marco Gee (Danny Dove & Steve Smart Remix) 2) Devil Walking - Mark Knight 3) Unleash My Love - John De Sohn and Nick Wall ft Christina Skaar 4) We (Eloise) - Carlos Gallardo & Bobby Alexander (T. Tommy & DJ Nano Remix) 5) Habanero - Simone Tavazzi 6) Cross The Line - Chris Lake & Marco Lys (Club Mix) 7) Souk - Jay C & Felix Baumgartner 8) Dangerous - DJ Jesus Luz & Alexandra Prince (Manuel De La Mare & Alex Kenji) 9) Drop That Beat - Andrea Bertolini 10) Memi - Martini & Bini (Dance Disco Heat 2011 Simone Cattaneo & Alex Gardini) 11) My Love Is Deep - Sara Parker (Rachel Ellektras Manifesto Magic Mix) 12) Just a Dream - E-Play & Hype Jones (Peter Brown & Etienne Ozborne Remix) 13) Niton - Eric Prydz (Club Mix) If you enjoy this podcast: 1. Let me know, you can find me on Facebook at http://www.facebook.com/pages/DJ-Phil-Hewson/101597226575891 2. Let others know, leave your comments on the iTunes music store and on the website at http://funkylondon.podomatic.com 3. Help me cover the hosting and bandwidth costs, click this link to donate and show your support for the Podcast: Every donation no matter how small goes towards the increasing cost of running the podcast.